No kittens, beach photos, flowers or forums. Just enter your period and get out. Protect it with a password or Touch ID. 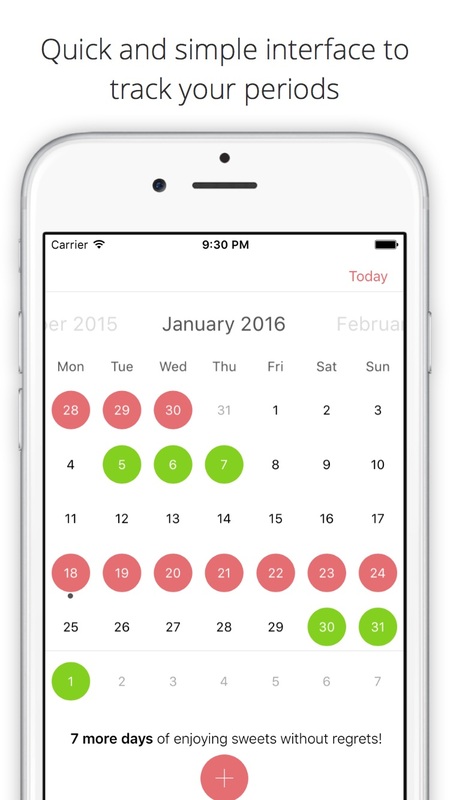 View your period history in one place. 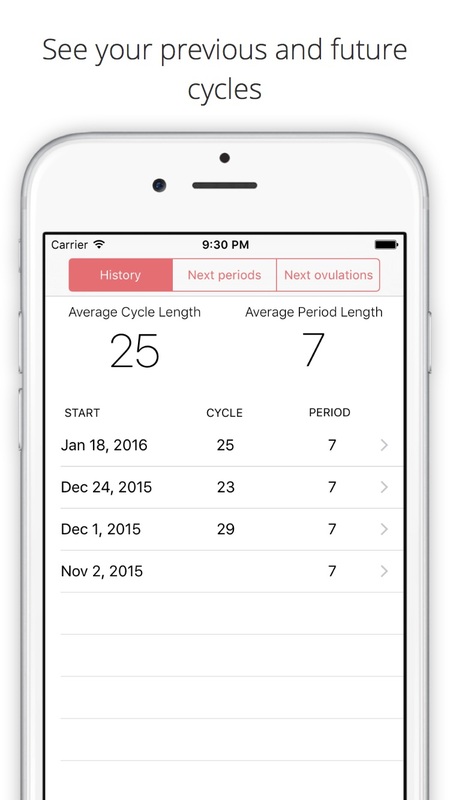 See your averages and predicted periods and ovulations.